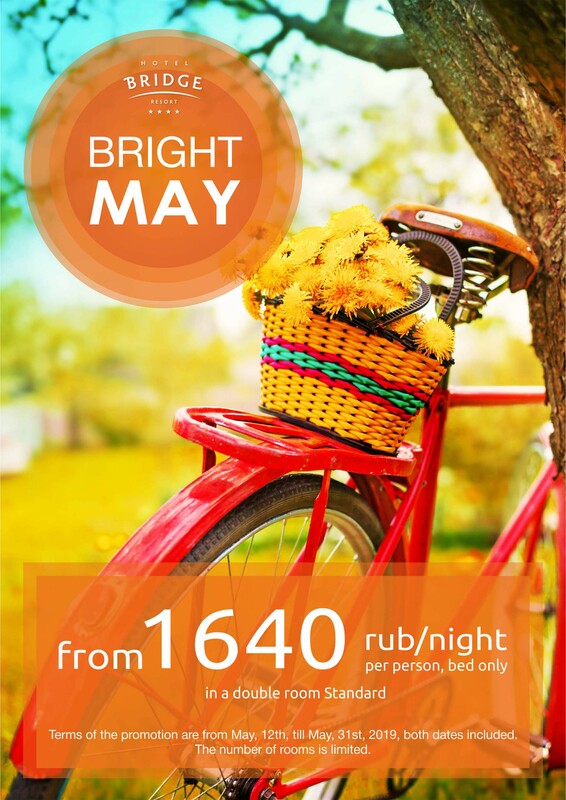 Bridge Resort 4* Hotel Complex – the most southerly hotel in Russia! Bridge Resort is the family resort that comprises 4* hotel, medical and SPA centres, pool set, hotel beach, restaurants, bars, conference halls, children clubs and workout areas. Hotel is suitably placed in Imereti Lowlands only 2 minutes walking to Black Sea shore, 10 minutes’ car ride to Sochi International Airport, 40 minutes’ car ride to Krasnaya Polyana and of pedestrian access to Olympic Park. Bridge Resort hotel is placed in ecologically pure area, calm and cozy Imereti Lowlands of the city of Sochi that had obtained international repute due to XXII Winter Olympics. This Sochi district differs from central city districts by its comfort for the family recreation. It has advanced infrastructure for walk with kids – flatland area is suitable for easy walk with baby buggy. Bridge Resort is in TOP-5 Tripadvisor Travellers Choice and Top Hotels Russian version as Best Family Recreation Hotel in Russia. We offer “All Inclusive” rate in summer and in winter. In autumn and spring you can choose any rate from “Half Board”, “Full Board”, “Breakfast” and “All Inclusive Plus”. Unique hotel placement: Bridge Resort is the most southerly hotel in Russia having view to the Black Sea from the one side and to the picturesque Caucasian ridges from the other side. Pure and clear air, mountain landscapes and interiors of the resort form conditions for relax and calm family recreation. The sea and the beach of Imereti Lowlands are considered the best as the water is more clear and pure and the absence of wave breakers make the beach more attractable and safe. The concept of the clinic is aimed at strengthening and restoring health, extending youth, beauty and active longevity. Our advantages: a systematic approach to the organization of the treatment process, affordable cost and a wide range of medical services, convenient schedule and caring personalized attitude to each guest. Diagnostic, therapeutic, health and aesthetic procedures are performed by highly qualified personnel using the latest medical equipment. The combination of modern and traditional methods of treatment with the unique natural factors of the Black sea coast allows to get a unique improving effect for the body. October 2019: from 21 of October till 27 of October. 2 saunas, Khammam, closet rooms, pools (for children and for adults) and Jacuzzi will be unavailable. Massage shop, cosmetologist, heardress, manicure offices and GYM will be working as usual. We offer our appologies for inconvenience. More exact information about aqua zone maintenance time in September and December will be disclosed one week before the planned date. We offer our appologies for inconvenience. 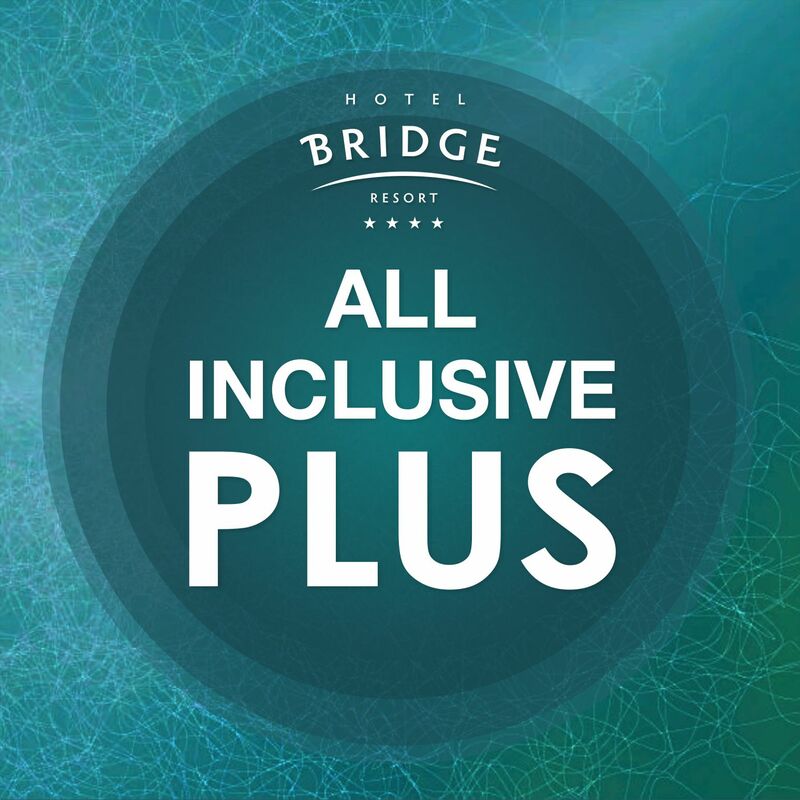 Bridge Resort hotel complex invites you to join our Bridge Resort Club – permanent guests’ loyalty programme. Bridge Resort Club is not the only loyalty programme! It is based on the promotions for permanent guests and offering them best conditions, discounts and free services. 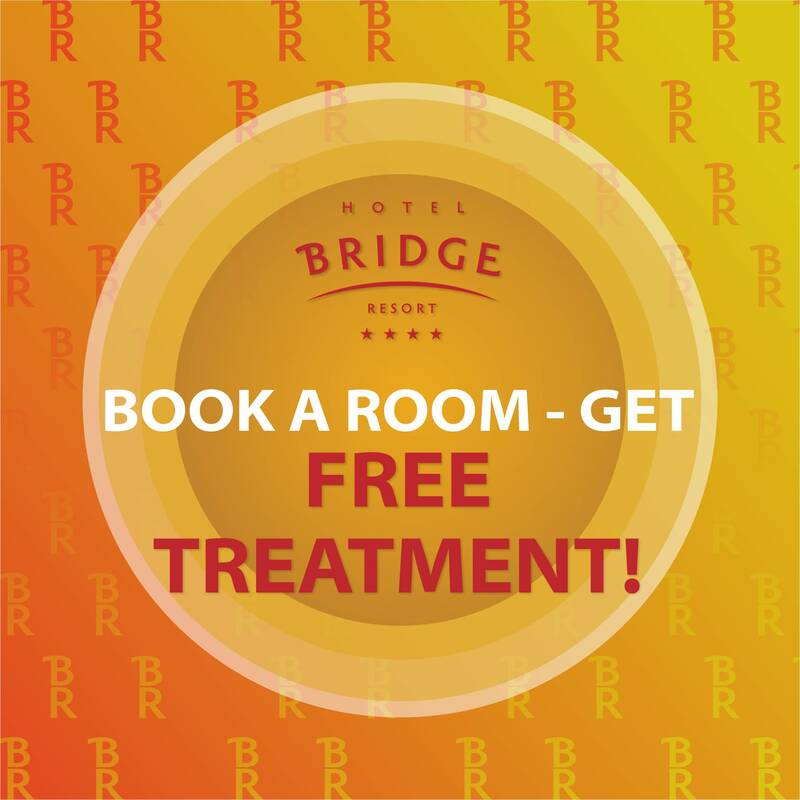 Want to have 20% off the reservation and Bridge Resort services? Click the link and it will take only 1 minute to register. 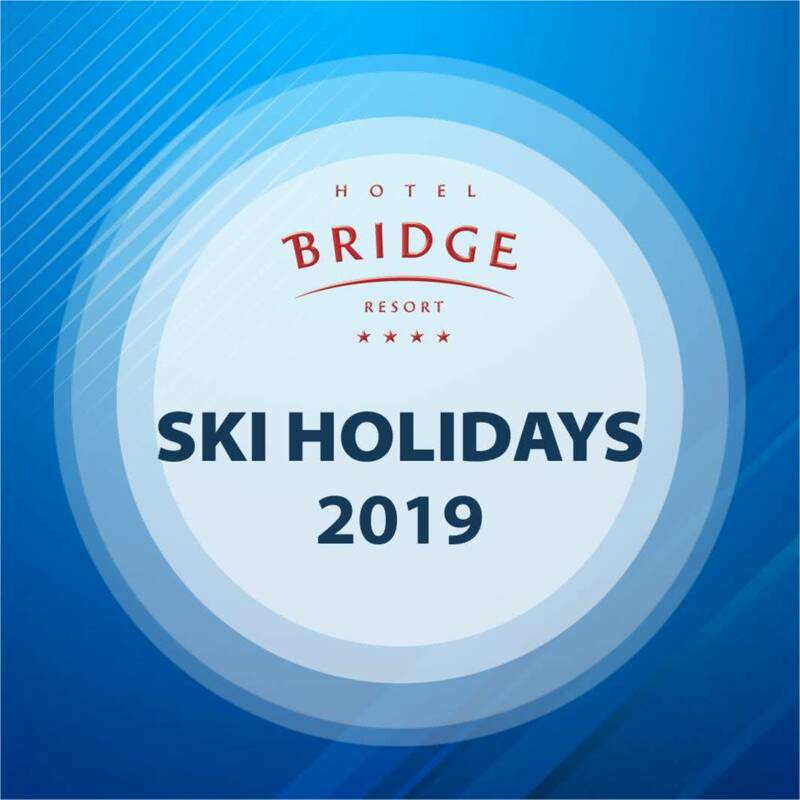 Bridge Resort hotel is placed in ecologically pure area, calm and cozy Imereti Lowlands of the City of Sochi that had obtained international repute due to XXII Winter Olympics.